Overview… a young CIA agent on a boring safe-house detail in Cape Town. Matt Weston is eager for excitement. He passes the time by heckling his boss, applying for new posts, and going on extravagant dates with his girlfriend Ana, who is unaware that Matt is a spy. Disillusioned with his work, Matt is frustrated by the government bureaucracy that he feels stranded him in a dead end job, until the arrival of infamous criminal Tobin Frost places Matt in the middle of a dangerous game of cat and mouse. Personality… eager and confident. Matt is looking for a chance to showcase his skills as a global spy. Given his boring post, he spends his days making repetitive phone calls and bemoaning his bad luck, which puts him in a sour mood. This means that when Matt is faced with the action that accompanies Tobin Frost, he is initially flustered by the abrupt change of pace. However, his dedication makes him adaptable and able to respond quickly to the newfound dangers of his previously boring post. Matt Weston's popularity ranking on CharacTour is #3837 out of 5,000+ characters. See our top-ranked characters and read their profiles. 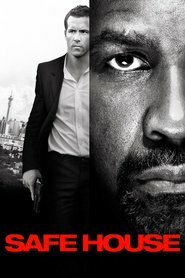 Denzel Washington plays the most dangerous renegade from the CIA, who comes back onto the grid after a decade on the run. When the South African safe house he's remanded to is attacked by mercenaries, a rookie operative (Ryan Reynolds) escapes with him. Now, the unlikely allies must stay alive long enough to uncover who wants them dead.